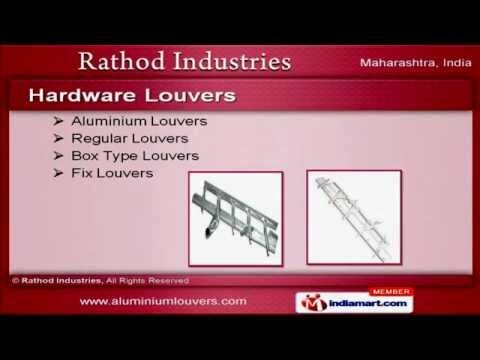 Welcome to Rathod Industries Manufacturer & Exporter of Aluminium Hardware Products. The company was incorporated in 1982 at Mumbai. Our sound infrastructure, customer centric approach & easy modes of payment have helped us to earn present repute in the market. We are well known in the industry for our competitive pricing, strong production capacity, customized solutions & timely delivery. Our market base is spread across Indian Subcontinent, East Asia, Middle East & South East Asia. We are engaged in manufacturing Hardware Louvers, Door & Window Hinges. Aluminium, Regular, Box Type & Fix Louvers are some of our best selling products. We provide premium grade Semi Box, Plastic & Consil Louvers. Our Cobra & Door Hinges are manufactured using high quality raw materials. Along with that we provide Pivot & Aluminium Door Hinges that are a class apart.